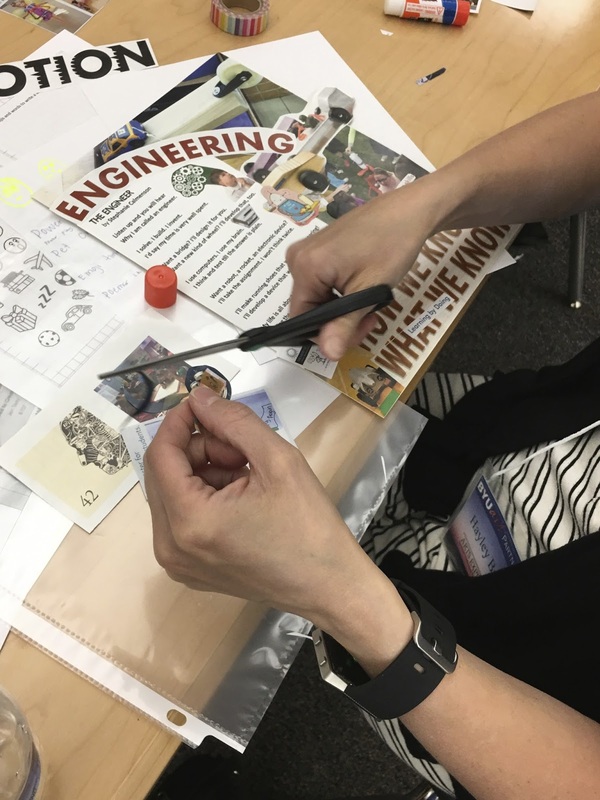 "a two-day event that provides arts integration instruction in all five art forms: dance, drama, media arts, music, and visual arts-- with special insights on ways to integrate the arts with core curriculum. The conference is for elementary classroom teachers, administrators, and parents attending together as they work to create s school rich in arts instruction and integration." It was such an energy-filled and inspiring event! We were keynote speakers on the topic of "Poetry Across the Curriculum: Integrating Literacy and the Arts" and how to connect poetry with visual art, music, voice, movement, and dance using our “Take 5” approach to integrate literacy and the arts in five minutes. 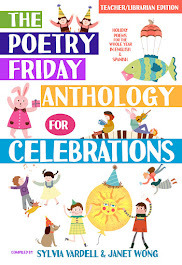 We shared many of our Poetry Friday Anthology poems (and led the audience in singing, chanting, dancing, readers theater, and acting out poems) and we highlighted many other poetry books that have an arts focus. Here are some of the resources we provided. 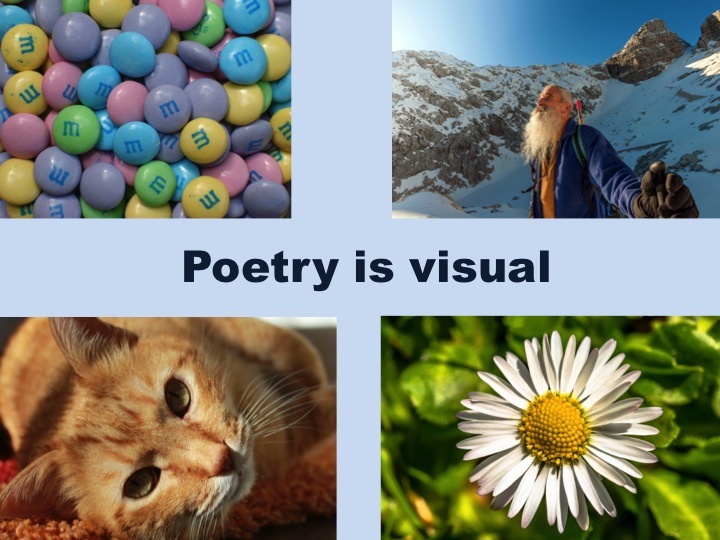 The role of color in evoking imagery in a poem is primal. The poetry books listed here exemplify the effective and powerful place of color in poetry, whether in reflecting nature or dealing with issues of race. Adoff, Arnold. 1973/2004. Black is Brown is Tan. New York: Harper & Row/Amistad. Iyengar, Malathi Michelle. 2009. Tan to Tamarind: Poems about the Color Brown. San Francisco: Children’s Book Press. Larios, Julie. 2006. Yellow Elephant: A Bright Bestiary. Orlando: Harcourt. Salas, Laura Purdie. 2008. 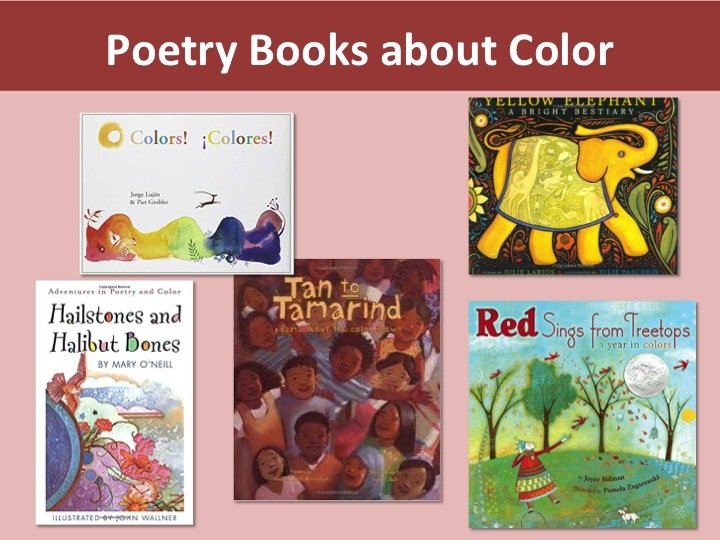 Flashy, Clashy, and Oh-So-Splashy: Poems about Color. Mankato, MN: Capstone Press. Sidman, Joyce. 2009. Red Sings from Treetops: A Year in Colors. Boston, MA: Houghton Mifflin Harcourt. Yolen, Jane. 2000. 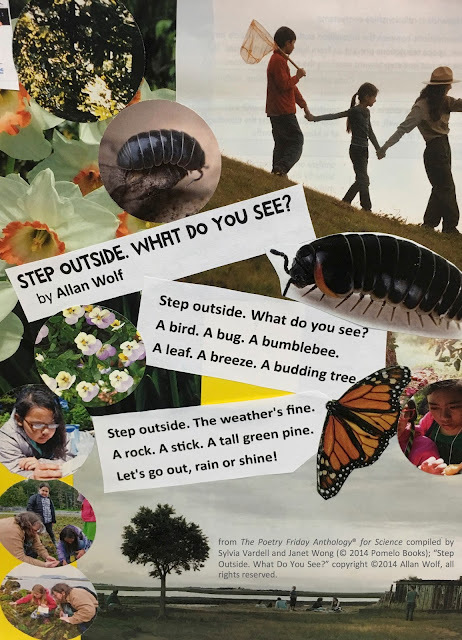 Color Me a Rhyme: Nature Poems for Young People. Honesdale, PA: Wordsong/Boyds Mills. Since poetry is full of imagery and emotion, it may not be surprising that it has often been paired with fine art from around the world. Books such as these can provide an introduction to art, as well as an opportunity to discuss the sources of artistic and poetic inspiration. Consider these examples. 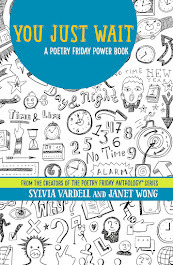 Several of these feature poetry written in response to the art, called “ekphrastic” poetry. 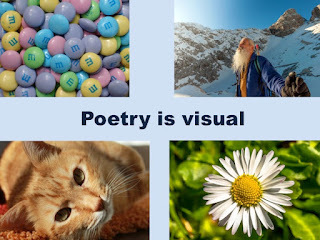 Encourage aspiring writers to choose a piece of art that “speaks” to them and then try writing a poem in response to it. Brenner, Barbara. Ed. 2000. 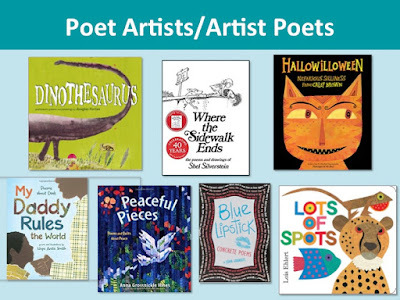 Voices: Poetry and Art from Around the World. Washington, DC: National Geographic Society. Heard, Georgia. Ed. 2000. Songs of Myself: An Anthology of Poems and Art. New York: Mondo. Koch, Kenneth, and Kate Farrell. Eds. 1985. 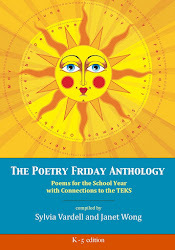 Talking to the Sun; An Illustrated Anthology of Poems for Young People. New York: Henry Holt. Lach, William. Ed. 1999. 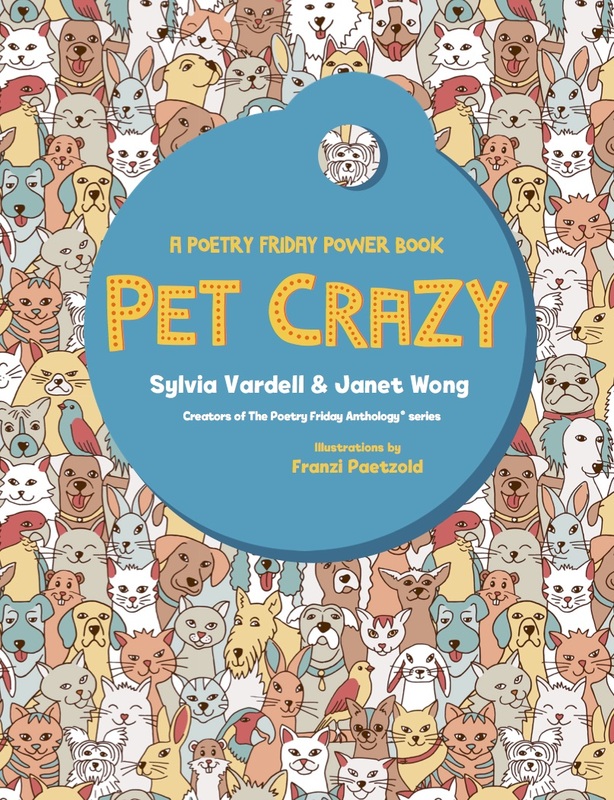 Curious Cats in Art and Poetry for Children. New York: Atheneum. Lewis, J. Patrick. 2008. Michelangelo’s World. Mankato, MN: Creative Editions. Panzer, Nora. Ed. 1994. Celebrate America in Poetry and Art. New York: Hyperion. Rochelle, Belinda. Ed. 2001. Words with Wings: A Treasury of African-American Poetry and Art. New York: HarperCollins. Sullivan, Charles. Ed. 1994. 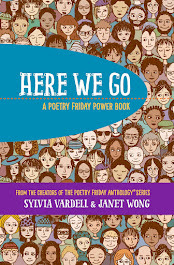 Here is My Kingdom: Hispanic-American Literature and Art for Young People. New York: Abrams. Sullivan, Charles. Ed. 1989. Imaginary Gardens; American Poetry and Art for Young People. New York: Abrams. 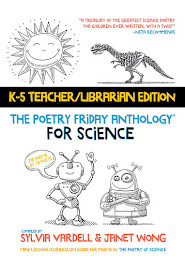 There are many poets who also produce the illustrations for their own poetry collections. They are known for their art, as well as their writing, including Douglas Florian’s distinctive paintings+collages, the outrageous cartoon monsters of Adam Rex, the iconic photography of Charles R. Smith, Jr., the textured quilts of Anna Grossnickle Hines, the irreverent pen and ink sketches of Shel Silverstein, and more. 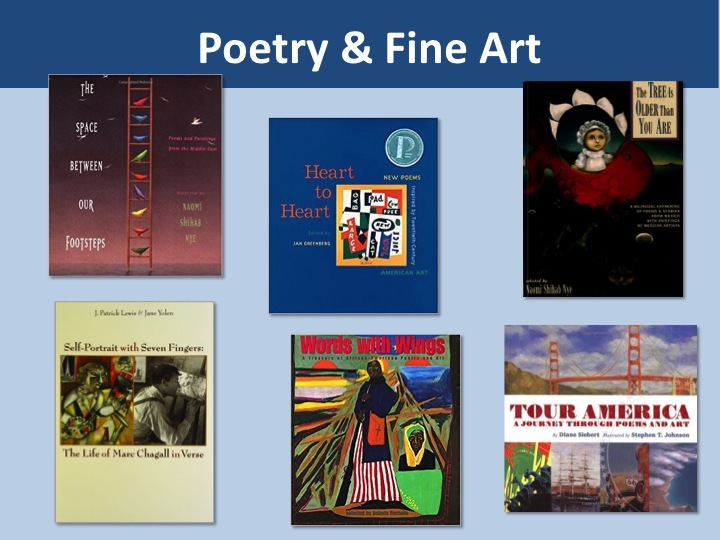 Here are a few titles by each of a dozen poet-artists and artist-poets. Encourage young people to collaborate with a partner, one as illustrator and one as writer, in creating their own poem and art. Agee, Jon. 2009. Orangutan Tongs; Poems to Tangle Your Tongue. New York: Disney-Hyperion. Brown, Calef. 2010. Hallowilloween: Nefarious Silliness. Houghton Mifflin. Cyrus, Kurt. 2005. Hotel Deep: Light Verse from Dark Water. Harcourt. Ehlert, Lois. 2010. Lots of Spots. New York: Beach Lane Books. Grandits, John. 2007. Blue Lipstick: Concrete Poems. New York: Clarion. Weinstock, Robert. 2010. Can You Dig It? New York: Disney-Hyperion. 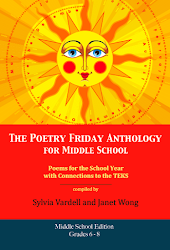 The link between songs and poetry is very close, with lyrics and poems sharing rhythm, rhyme, and emotional content. 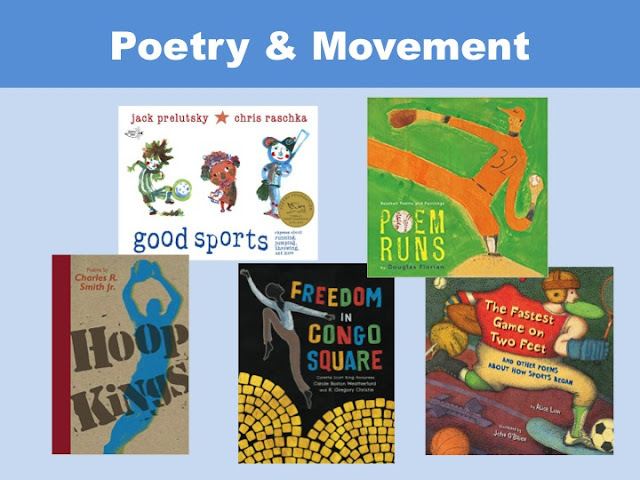 Singing songs and performing poems can also share similarities in maximizing the oral medium, incorporating musical or percussion instruments, and using gesture and movement. 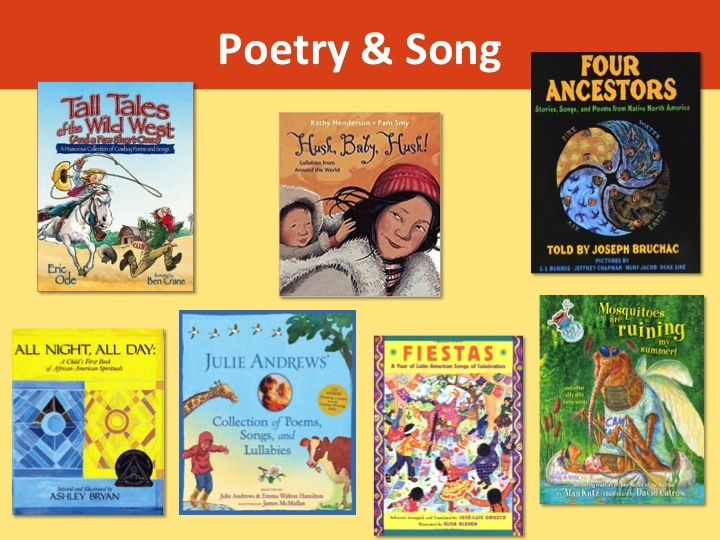 From lullabies to parodies, here are a few examples of songs, lyrics, and poems in book form. Andrews, Julie and Hamilton, Emma Watson. Eds. 2009. Julie Andrews' Collection of Poems, Songs, and Lullabies. Ill. by James McMullan. New York: Little, Brown. Bryan, Ashley. 2003. 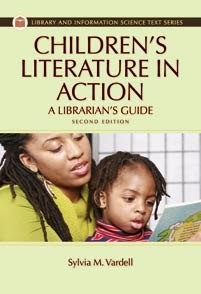 All Night, All Day: A Child's First Book of African-American Spirituals. New York: Atheneum. Delacre, Lulu. 2004. Arrorró Mi Niño: Latino Lullabies and Gentle Games. New York: Lee & Low. Fox, Dan. Ed. 2003. A Treasury of Children’s Songs: Forty Favorites to Sing and Play. New York: Henry Holt. Henderson, Kathy. 2011. Hush, Baby, Hush! Lullabies from Around the World. Seattle: Frances Lincoln. Hopkins, Lee Bennett. Ed. 1997. 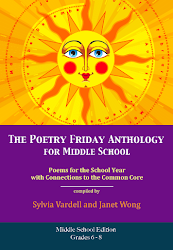 Song and Dance: Poems. New York: Simon & Schuster. Lessac, Frane, Ed. 2003. Camp Granada: Sing-Along Camp Songs. New York: Henry Holt. Ode, Eric. 2007. Tall Tales of the Wild West (and a few short ones): A Humorous Collection of Cowboy Poems and Songs. New York: Meadowbrook Press. Orozco, José-Luis. 2002. Fiestas: A Year of Latin American Songs of Celebration. New York: Dutton Children’s Books. Yolen, Jane. 2005. Trot, Trot to Boston: Lap Songs, Finger Plays, Clapping Games, and Pantomime Rhymes. Somerville, MA: Cambridge: Candlewick Press. 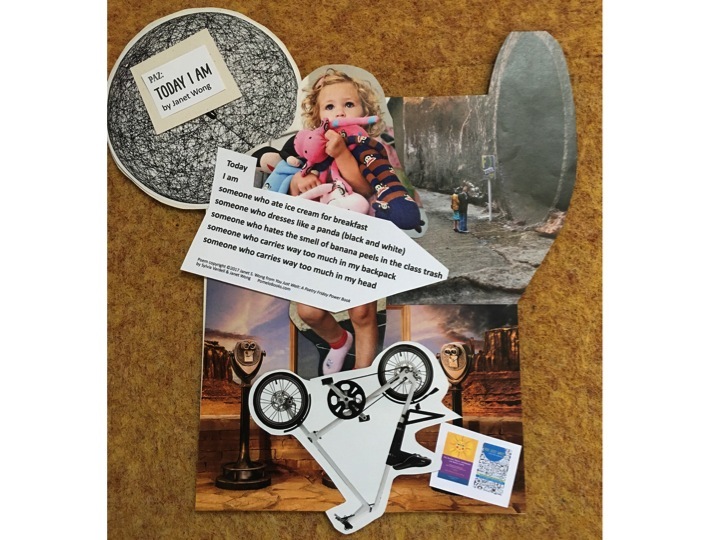 Then we also conducted a one-hour workshop (twice) showing how we could create simple poem collages. We provided individually printed poems as well as simple art supplies like magazine photos, googly eyes, washi tape, and more. 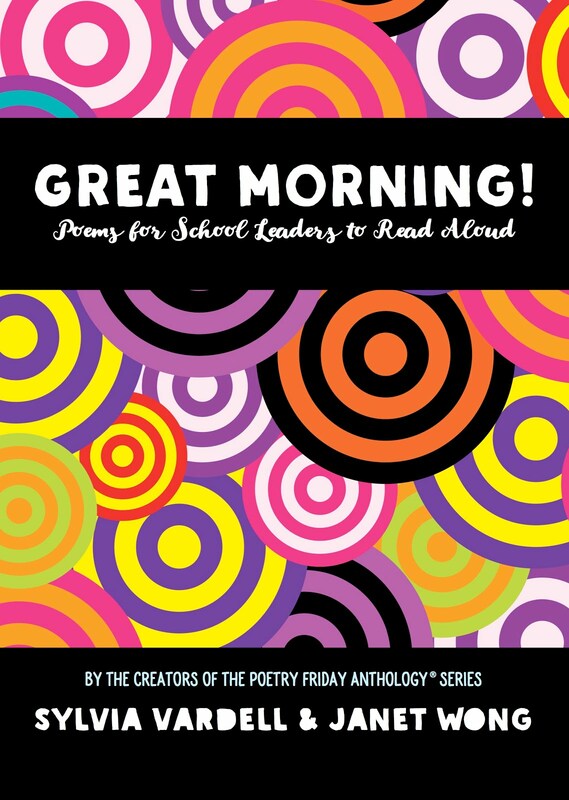 We walked through how to share anchor and mentor poems and lead response activities. Their creations were marvelous and varied and we created a Pinterest board featuring many of them which you can see here. We also created a gallery of poem collages on the lockers of the school hallway and people had fun browsing through the poems all day long. If you ever have a chance to attend or participate, we recommend it! We hope to go back some day! Meanwhile, check out the rest of our Poetry Friday pals and their posts over at Random Noodling. 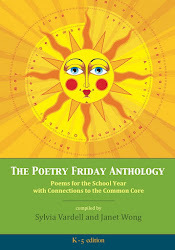 Thanks, Diane, for hosting our Poetry Friday party! I'm glad to be back!